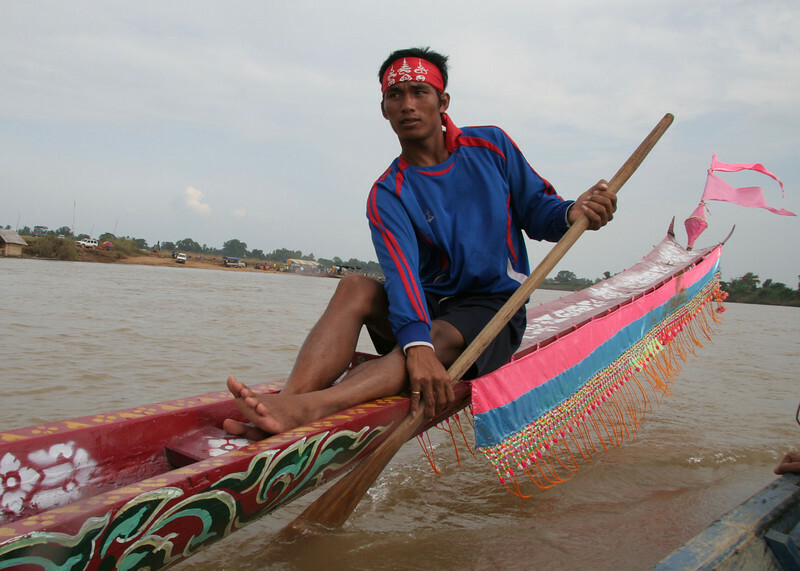 The month of September in Laos means boat racing season. I photographed a local team through practice to race day, a truly local experience, and a wet one! I made my way down to the muddy river’s edge for my first dip in the Mekong River. 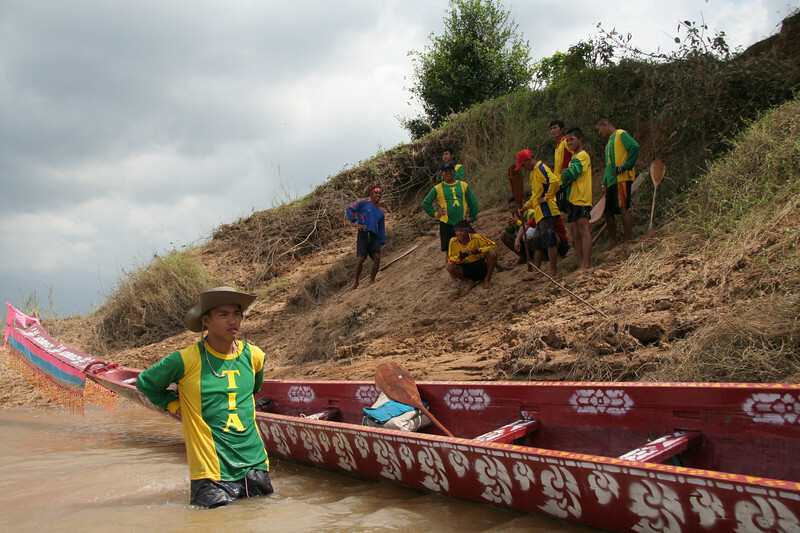 The Tha Phra team was in the boat waiting for me, watching me. I gingerly walked out to the front, swung a leg over the side and set foot in the wooden boat. This wasn’t as easy as it would seem; the front of the boat was quite narrow and therefore wobbly. I steadied myself and went to sit down; my hips didn’t fit into the seat, once again reminding me that I am a giant in Asia. I squeezed my hips into the seat the best I could, and the young man in front of me took the handle end of his paddle, knocked it against the inside of the boat 3 times, and immediately (attention was given) the whole team bowed down in their seats. One more knock of the paddle, a guttural team noise in unison, and everyone sat upright poised with their paddles above the water; we were ready to begin the nightly ritual of boat practice. 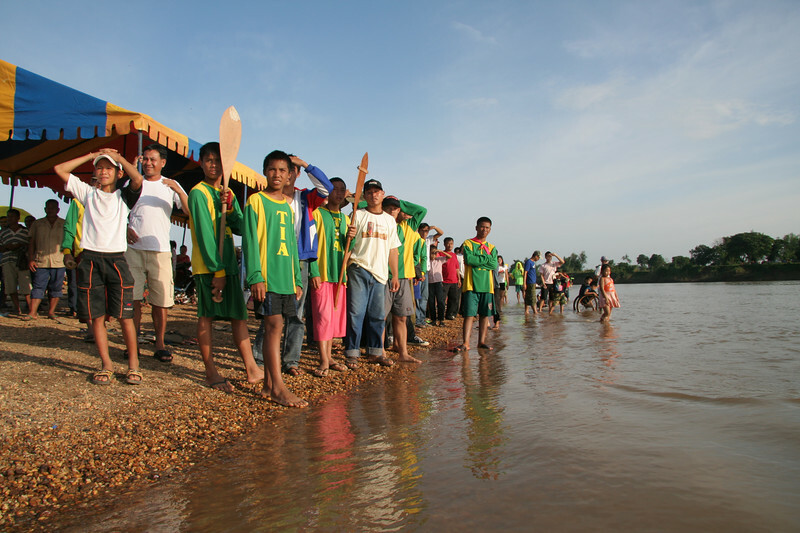 It was boat racing season in Laos. 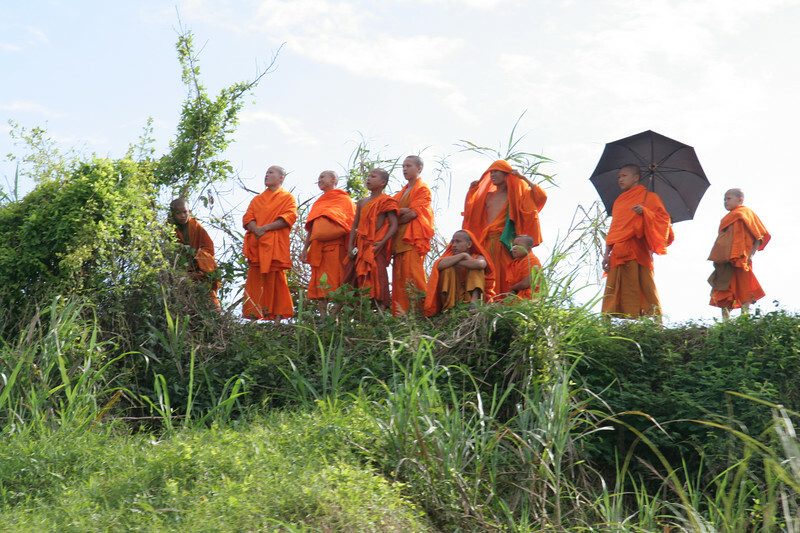 The end of the Buddhist Lent marks the beginning of celebration. For Laotians, this means festivals and boating. 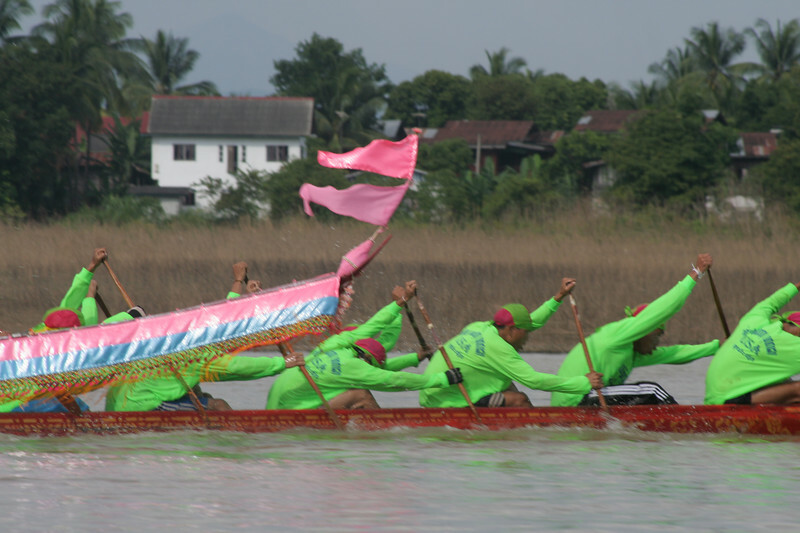 The season culminates in a large competition in Vientiane, the capital city, at the end of October. 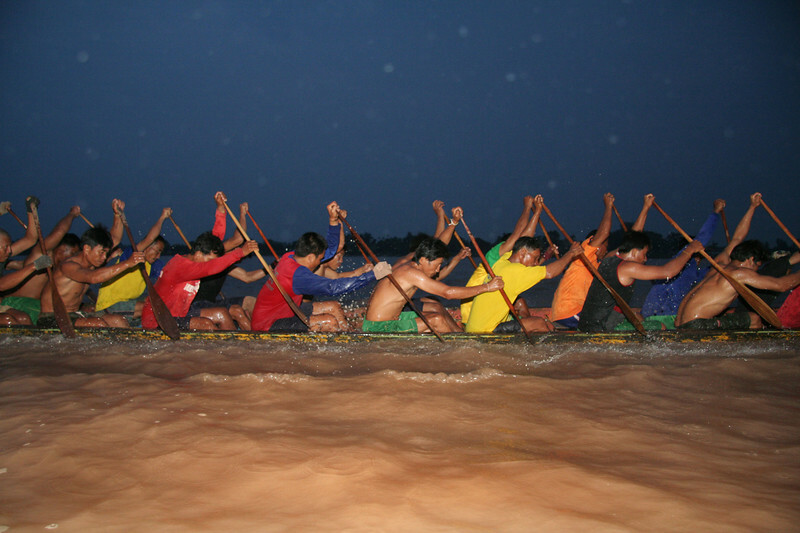 Tha Phra was ultimately preparing for the Vientiane race, but first they had to earn their way and compete in small village races. On the coming weekend, I attended one of the local village races. The Tha Phra team was ready to compete; they had their game faces on and were dressed in their green and gold ’Tia’ uniforms. 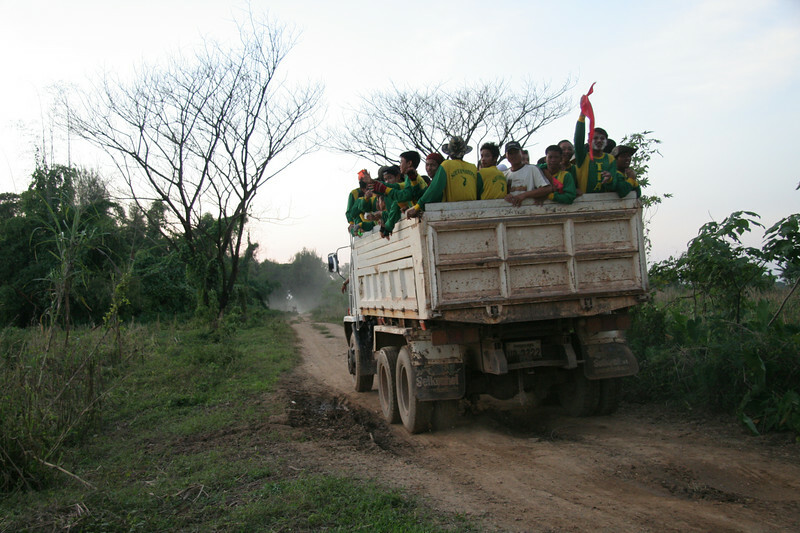 Many of them had brightly colored bandanas on their head, or paint on their face; these boys were serious. This fun-loving group that I met a few days ago went from laughing at me getting wet to barely noticing that I was there with my cameras. 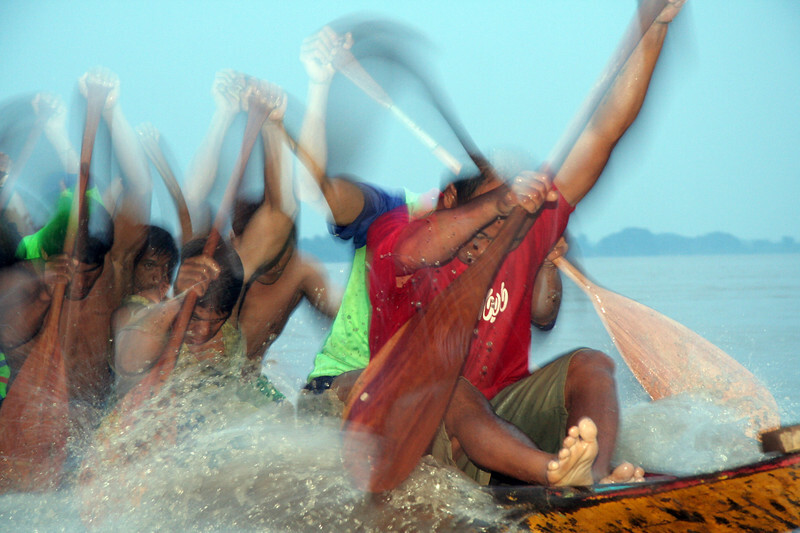 The boating fate of the village rested on these young men’s shoulders and paddles. They easily won the first race making it look simple; gliding along the water as if it were ice. However, the second race proved to be a bit more challenging. Tha Phra started off well, but soon fell behind. The spectators watched in anticipation. I watched from the coach’s boat as the team struggled from behind turning it into a neck and neck race. 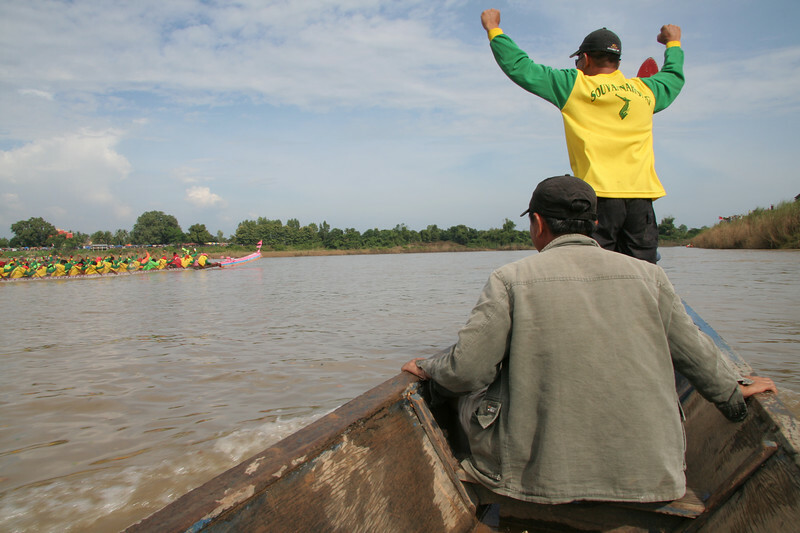 The coaches in the boat were on their feet, the crowd was intently watching, and it was a photo finish; not ending in Tha Phra’s favor. At the end of the day Tha Phra finished 4th out of 8 teams, a very respectable finish for the young Tia team. They had a lot to be proud of. Finally, as they came off the boat for the last time, their intense ‘game faces’ eased up a bit and they turned back into young boys as if the spell had been broken.